Angela Merkel is a terrific politician. Even those who don't agree with her policies admit to her skill in making space for her own ideas. But we could say that about Donald Trump, too. What makes Merkel an extraordinary, groundbreaking leader is what is in her personality that is opposite to Donald Trump: Merkel isn't in it for the glamour, fame, or money. Ten years ago, she claimed she had no intention of staying on as Chancellor beyond two terms. She is currently running for her fourth term at the end of this year. Why? Merkel’s desire to stay on as Chancellor of Germany has something to do with legacy and with current danger. Anyone can see the threats in the national and international environment. When one spends many years leading an electorate and shaping a worldview that strengthens one’s country vis-a-vis outside threats to stability, one wants to leave it in safe hands. Qvortrup doesn’t tell us, at the end, whether or not Merkel, unlike Hillary, has groomed a successor who can take over her role should she decamp. Merkel is still young enough to see Germany through another term but then a successor should emerge. Germany in the late 20th and early 21st Century was as tumultuous as any other nation, resembling the child's game of Chutes & Ladders. Political parties fought for ascendency at the time of the fall of the wall, and Merkel, through luck and instinct, rose within a year to a place in national politics. People liked her. She was unthreatening to higher ups and she was willing to do anything in an organization. She used every opportunity; even handing out leaflets gave her access to voters. She honed her instinct for what was needed, learned what voters wanted and would accept, and was courageous in accepting opportunity and responsibility. Later some would question: Merkiavelli? Merkel was, and is still, resolutely forward-looking, unlike the kind of national figures in Russia, where Putin wants a return to Tsarist times and America, where Trumps seeks a return to early 20th Century oligarchies. When former Chancellor Helmut Kohl lamented that ‘She is destroying my Europe,’ Merkel responded, “Your Europe, dear Helmut, no longer exists.’ Finally, someone who gets it. What I find most intriguing about Merkel is her political expediency. Qvortrup makes the point that in politics one doesn’t make ‘friends’ like one does in other fields, but Angela made friends easily compared with her colleagues. She was a little frumpy, clever, kind, generous, unthreatening, and…a brilliant political statistician. During her tenure as Chancellor, she had several cabinet-level ministers, party leaders, and government heads resign in disgrace. She shuffled the deck, calculated odds, sacrificed some appointments, and very shrewdly chose replacements who could strengthen her party's ascendency. She could work with anyone, her listening demeanor polite and cordial. Qvortrup is particularly good on the details here. Merkel’s office was never implicated in any of the scandals, and she never defended those who came under attack. It is said she urged more transparency. Her careful composure under pressure will become a trademark. Merkel could not afford the distraction of making a scene over news that broke late in 2013 that the United States was monitoring her private telephone. Russia annexed Crimea in March 2014. She needed American support to counter the Russian encroachment into European sphere. Qvortrup says Merkel “always considered Obama a lightweight,” which runs counter to impressions the American press has broadcast that the two got along famously. She apparently idolized Reagan, I wonder whether for his politics or for his famous charm and political skill at changing the frame of any discussion. Qvortrup also says Merkel was not enthusiastic but not overly alarmed at having to deal with Putin, who was a known quantity to her. This again is counter to previous analyses I have seen. Merkel is able to confound watchers in this way. Handling the sanctions regime against Russia at the time of the Ukraine invasion and the shoot-down of Malaysia Airlines flight MH17 took nerves of steel. Putin was desperate and threatening, but all Europe was suffering under the sanctions, particularly France. Qvortrup goes through this and the Greek financial crisis in detail. Merkel manages, in the summer of 2015, to get Greece to agree to allow the EU to control the money earned from privatization of Greek assets, barring 12.5% for the Greeks to decide how to use. The solution required throwing her Finance Minister under the bus. Qvortrup compares the period to a Greek tragedy with an unanticipated solution, or deux ex machina. This magic trick, pulling the rabbit out of the hat as it were, will need to be unpacked in greater detail in future examinations of this period. I watched most of Merkel’s first two terms with half-an-eye, but when the Syrian war crescendoed into a full-blown refugee crisis, I turned my gaze full-on Europe. Merkel’s strength of character and leadership skills took my breath away. She'd found an issue more important than her own career and she did not back down. This woman, this frumpy pant-suited attention-sink, did more to embody Christian values than any other European leader while serving the needs of her country and leading Europe by forging an alliance among nations. Merkel was not an ideologue, but pragmatic. Having lived under communism, she took what was best from it and left the rest. Brexit must have been a terrible disappointment to her idea of a united Europe, and the election of a right-wing nationalist in America threatens Germany’s economic stability and security. Merkel’s expected retirement no longer seems a foregone conclusion. The current threats will require unique responses. Mütter Merkel’s calm and compromise may require a change of pattern. Do Germans think she can do it? Can anyone do it if she cannot? 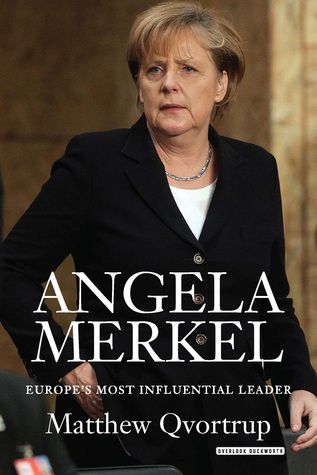 Qvortrup is admiring of Merkel, as has been every other journalist who has written a biography that I have seen. He is not sycophantic: he tells us when Merkel was perceived as Machiavellian and other criticisms. But to date I still do not have a good sense of why her approval ratings fell, reportedly below 50% in 2015, and what the objections are in Germany to her leadership beyond fear over the influx of refugees. A situation like the refugee crisis needs the whole nation pulling together to make it work. Germany could be a model for those of us who will need to do the same. Migrants and refugees--I doubt I'm breaking news to most of you--is going to be a constant for all of us living in temperate zones in the future. Best we think ahead. 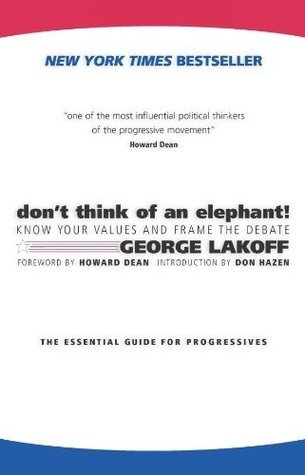 This slim handbook subtitled “Know Your Values and Frame the Debate: The Essential Guide for Progressives” was originally published in 2004. It is slightly more than one hundred pages that recaps the large ideas Lakoff had written about in his role as cognitive scientist, in a book called Moral Politics: How Liberals and Conservatives Think, first published in 1996 by the University of Chicago Press. Moral Politics is on it's third edition (ISBN-13: 978-0226411293), published in time for the 2016 election. Last year Lakoff also published an essay on his website called "Understanding Trump" subtitled "How Trump Uses Your Brain Against You." Lakoff is Richard and Rhoda Goldman Distinguished Professor of Cognitive Science and Linguistics at the University of California at Berkeley, where he has taught since 1972. I am astonished Lakoff’s brilliant insights are not better utilized by the Democratic Party. Bernie took the lessons to heart and started pounding out a new single-note message so that we couldn’t miss it, but why was he out there alone? Why didn’t the entire liberal left start with reframing—we had a handbook after all—and completely change the way business was done? One could argue that Hillary did use Lakoff’s cognitive science approach by allowing the ‘Stronger Together’ message to express her values. I vaguely recall hearing also “This is not who we are,” when Trump said or did something particularly egregious. I was paying attention, but it seems to me Hillary’s team could have been A LOT more explicit about the ideas in Lakoff’s book, reframing arguments and changing the discussion. She just couldn't manage to relinquish control and involve us. Man is basically good. Citizens working together unleash the creative potential in the population. Who wants to be rich when people are starving next door? We have some big problems but we’ll get there together. This book is a series of conclusions and so reading it is a little like mainlining information if you’ve never seen it before. It may take reading it a couple times before the information sticks in your head, and before you are able to apply the techniques he shares with us. Many of these ideas probably seem familiar if you have been thinking about what happened in the last election. I hadn't been able to articulate my own thoughts but the instant I saw what Lakoff wrote about conservatives and the ‘strict father’ way of looking at the world, it sounded so right (see Hochschild’s Strangers in Their Own Land). One thing Lakoff points out is that when conservatives start using Orwellian language—language that is the opposite of what they mean—they are weak. Just as they are vulnerable on their position on environment and global warming, they are weak on the ‘healthcare’ bill. We should take these issues and run with them, turning every argument into a referendum on what they are not doing to solve these problems. We own the moral arguments here. They have nothing. Be smart. Be smarter. The far right has appropriated the word “freedom” if you can imagine. The far right uses “freedom” to mean “freedom from coercion from others,” which at first blush sounds pretty good. Who wouldn’t want that? But then they go on to express the need to "save capitalism from democracy", so that laws won’t constrain their money-making and power consolidation. They object to paying taxes in excess of the amounts one would voluntarily contribute. Why should one pay taxes for schools if one does not have children oneself, is one common argument. They are being coerced to pay for social welfare. Liberals look at freedom in a different way: freedom to express one’s creativity, to pursue one’s interests; or freedom from anxiety, from hunger, exploitation, environmental degradation. To achieve these freedoms, we need groups of people working together, doing what they do best. A recent interview with the president of Princeton University, Christopher L. Eisgruber, confirmed something I'd noticed but wasn’t sure was a blip or a real, observable phenomenon. Eisgruber said that the students at Princeton gave him enormous hope for the future. They are engaged, and their values are right side up. I only hope they continue to exhibit those values at the ballot box in the years to come, and perhaps even help other people understand the ‘strict father’ (I can’t help but think of a spanking father and all that connotes) model is an unsatisfactory way for adults to engage with their world. Read this book. It’s important. It’s short. This debut novel won the 2015 Victoria Premier’s Literary Award for an Unpublished Manuscript. Can you imagine the fantastic possibility of that? 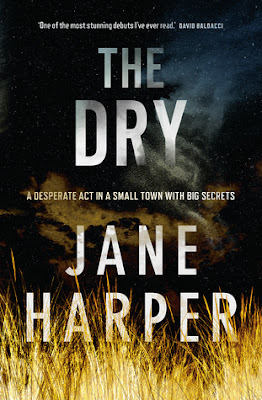 Harper explains in an interview with Bookpage that she began writing the novel as part of a 12-week online novel writing class. It must be like getting blast out of a rocketship. Americans have no doubt heard of the bushland fires Victoria state has experienced in the recent past. Weather patterns that leave huge portions of the Australian countryside water-starved can kill communities even before fire removes all signs of human habitation. People therefore rely on one another and suffer together when some members of the community experience hardship. This fiction takes place in a country town experiencing drought conditions. Families as well as government-provided services and facilities are experiencing enormous stress. Author Harper brings Aaron Falk, a former resident, now a federal agent responsible for financial crimes in Melbourne, back to the bush to attend the funeral of a once-friend. His presence reminds townspeople of the reason he left so abruptly twenty years previously. Two stories, one a long-unsolved cold case, are worked in this novel. The more recent crime is a spectacular triple murder-suicide of a family, sparing only an infant. The presumed killer is thought to be the father of the family unit, who died of a gunshot wound. Experienced crime readers will find small inconsistencies in what the characters reveal which can give clues to outcome. I listened to the Macmillan Audio production of this mystery, very successfully read by Stephen Shanahan. Shanahan’s accent was very Australian but perfectly understandable, reminding readers that the setting is significantly different from an American experience. He managed to convey a wide range of emotions by both sexes without straying from a straightforward script. Good job all round. 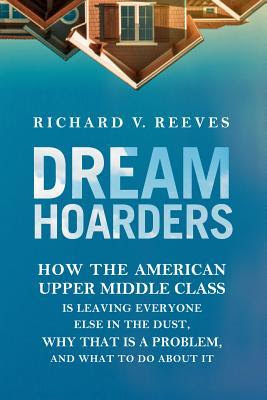 At first Reeves’ argument, that the upper middle class should voluntarily give up their advantaged place in society, sounds virtuous if a little unlikely. But gradually, listening to his arguments in this slim book of charts, graphs, and statistics, we remember what we don’t like about America: how our segregated neighborhoods bear little resemblance to what we see on the news every night. We sense a dislocation so strong we know it could come back to bite us, or more importantly, our children. Using beneficial social and tax structures to advantage our children and perpetuate class division may ultimately work to their detriment, and is certainly skewing the competitiveness of a large proportion of our working class, and therefore our nation as a whole. First, Reeves posits that real advancement for most people in our society is predicated on access to knowledge and information, i.e., “knowledge is power.” Right away we realize that access to information has never been equally distributed in this country, and that many of us have considered attainment of an IV-league education for ourselves and our children the highest goal. Virtuous in itself, one could say. But, Reeves points out, who is actually able to attend the IV-league is skewed by a few factors which can ultimately taint the achievement: access is unequal and not as competitive as touted. One reason is inequality in preparing for admission, and another is legacy admissions for relatives of graduates. Reeves suggests we protest legacy admissions until they are denounced publicly as discriminatory like they were in a strongly class-based society like Britain in the middle of the last century. Inherited admissions clearly work for the benefit of the landed class alone, and are therefore something which perpetuates inequality. For greater equality of opportunity, one has to look at lower schools, and who has access to the best schools. The best schools often go along with the best neighborhoods, the most nourishing family environments, opportunities for exposure to both nature and culture, music, art, etc.…and these are circumscribed, Reeves tells us, by zoning restrictions disallowing multi-family dwellings, low(er)-income high(er)-rises in desirable suburbs. I had a harder time reconciling this argument of his. In the United States, despite laws forbidding discrimination in real estate, there was demonstrable race-based discrimination in real estate throughout the twentieth century. Races were segregated beyond what would occur naturally—that is, races seeking to live with others of their culture. The idea is to allow access to desirable suburbs with good schools, nature, etc. If we stop discrimination on the basis of race, that will take care of some of the problem. Then, if we can add low(er)-income high(er)-rise buildings without changing the essential benefit of desirable suburbs (leafy, green, quiet, beautiful), I’m all for it. Let’s do it everywhere. For those that cannot escape poor schools in the inner-city, Reeves suggests we offer our best teachers the hardest jobs: teaching in low-income neighborhoods downtown. These excellent teachers would be offered the best salaries. I have no objection to this, but I fear it will not produce the outpouring of talent that Reeves is anticipating. Teaching is a profession, and we have learned anything about professions, it is that money is not always the strongest motivator. At the margins, a certain amount of money can induce some individuals to take on difficult jobs, but the inducements must quickly become exponential after a certain level of difficulty, saying nothing about the kinds of returns one would be expected to produce annually. But big challenges can be an inducement and the money will help make sense of it. It’s absolutely worth trying. Let’s do it everywhere. Among other things that would flatten the playing field is to eliminate our most beloved tax breaks which, Reeves explains, are in effect subsidies for the wealthiest among us: College savings 529 tax havens, and the mortgage interest deduction for homeowners. Eliminating these two loopholes would add hundred of billions to government coffers, while disadvantaging those in the upper 20% income bracket very little indeed while flattening the playing field for the rest of us. Lastly, Reeves suggests that internships during college are often distributed not on merit, but on the basis of class, familiarity, or favored status. Since jobs to which many of us aspire are often awarded on the basis of experience, internships, which deliver a certain level of confidence to applicants, can be extremely useful in bridging the gap from childhood to adulthood within the target job area. While favored distribution of internships seemed somewhat trivial to me and other critics Reeves mentions, he counters with “If it is trivial, you won’t mind then if we eliminate/outlaw it.” So be it. All “merit” all the time, if we can be reasonably expected to perfect that little measure. It is not going to surprise me when liberals discover status and wealth do not necessarily translate into greater life satisfaction or happiness and therefore decide to voluntarily give up certain advantages that perpetuate their inherently unequal class ranking for the greater benefit of the society in which they live. It is conservatives in the ranks of the well-to-do that may hold back progress. According to Nancy MacLean’s new book called Democracy in Chains, which paid some attention to the basis of far right conservative thinking, the wealthy feel they deserve their wealth, even if it is inherited, or even if it is made on the backs of exploited labor. It may be more difficult to get past this barrier to change. Below, please find two very short videos in which Reeves simply and easily explains the concepts in his book. Tuvia Tenenbom is a man of enormous appetite. Most of us will agree about that, despite other disagreement we will have at the end of this review, or at the end of his travel memoir around the United States. Tenenbom, by his own description, is an overweight, cigarette-smoking, brandy-drinking, non-religious, non-apologetic, argumentative, shape-shifting Israeli Jew who claims whatever citizenship (German, American, Israeli) will grant him greatest access to people’s inner thoughts. The more he wrote, the more he revealed about himself, a phenomenon he'd trumpeted about in his experience with talkative but reluctant interviewees, despite themselves. I could pick at inconsistencies I found in Tenenbom’s observations about the people in our country, but mostly I was rapt. He is a thoughtful, seeking man with a background in religion, computers, journalism, theatre, and a lifetime of attention paid to history and world affairs. He makes notes of his interactions as he travels the northern route to the west coast, to Alaska and Hawaii, and then the southern route back to New York City. It was a huge journey, and his memoir is informative and fascinating. He wanted to know who Americans were: what we thought of Jews, Palestinians, and Israelis; how party politics manifest amongst us; how do conservatives and liberals justify themselves? What was immediately apparent to him setting off from New York City was race, how it segregates us, how it completely colors our experiences, our choices, our lives. We overlap so little, Tenenbom had to go out of his way to get through the barriers to entry: white people and black both told him to “stay away,” be careful,” “watch yourself,” etc. if he entered or wanted to enter the places black people lived in Philadelphia, Detroit, Chicago, San Francisco, Honolulu, Charleston…cities whose class divisions left a mark on his psyche. As he travels he reports a bit of the day’s news. This was 2015, the year Dylan Root entered Emanuel AME Church in Charleston and shot nine people, this was the year of the Bataclan nightclub massacre in Paris, this was the year President Obama renamed Mount McKinley in Alaska Mount Denali. Tenenbom finds that politics often determined where an individual stood on climate change, their support for Palestine, their perceptions of Jews, gay rights, abortion rights, the boundaries so clear cut opinions seemed cookie-cutter and instinctive rather than well-thought-out and reasoned. Mostly folks were surprisingly unwilling to share their thoughts on politics, apparently afraid it would spoil their personal and business relationships. This struck Tenenbom as suspicious: how can one arrive at a well-argued position without refining it at every opportunity? Americans are a fearful people, he concluded. Rights of gun-ownership was a subject that arose for Tenenbom in the midwest. He found he liked handling others’ weaponry very much and, to his surprise, he himself was very good at shooting targets. We get his explanation of how handguns or guns which use magazines require permits…we never get a full-throated disavowal of such weapons. One suspects he thinks it is the least of our worries. If we dealt with the more obvious divisions among us, guns wouldn’t be an obstacle to good self-governance. Possibly. "during 2015 [as of sometime in the fall season], almost 250 blacks and close to five hundred whites were killed by US law enforcement personnel." Without some indication of the percentage of blacks’ minority status, it is hard to use these statistics properly, but the truth is that I did not know white people were being shot by police at higher levels than black people. What does it mean for our understanding of police work, or the Black Lives Matter movement? What should it mean? There is nothing knee-jerk about Tenenbom. If he has an opinion, it is usually thought-out, or if not, like his undecided stance on climate change, he is willing to continue to collect information. He doesn’t like the selfishness he often observes among wealthy conservatives , but neither does he like the unexamined righteousness of liberals who have an opportunity to make a difference where they are and insist instead on opining about politics in distant lands while doing nothing at home. He likes black people, their culture, and what they add to diversity, a word which gets bandied about atrociously in this book. We don’t have much diversity, for all our many cultures, in America, because white people are privileged and have separate opportunities, no matter how woke they think they are. What I don’t understand about Tenenbom’s point of view is his mix of nationalism and religion. Just like his willingness to call himself German, American, or Israeli depending on which works better for his purpose, he blithely says he loves his adopted America, but his Jewishness seems more important to him, despite his self-proclaimed non-religiosity. If a Muslim does the same thing, do we react differently? I think we do. Muslims are constantly having to reiterate publicly their love of America, and how it supersedes their love of religion. The thing about Tenenbom that is so interesting is that he gives the impression he can be persuaded. He’s interested. He pays attention. He asks questions. He knows what injustice is and will call it out. He doesn’t like everyone parroting support for Palestinians without knowing more about the situation in Israel. I still think he is being disingenuous in claiming “no foul” in the settlements, in the outsized responses to Palestinian resistance, in the discrimination of opportunity, etc. No, Jews don’t have to be better than everyone in the world. They have to strive to be better than they are, is all. Americans have their own indignities to face, the most egregious right now being race and class. Both countries could use clear-sighted critics. He and I agree on Samantha Power, former U.S. Ambassador to the U.N. Sometimes “liberal” turns a corner into something else entirely. I’d like to hear a podcast discussion between Tuvia Tenenbom and David Remnick of the The New Yorker. I think they are on opposite sides of the Israel questions, and they might be able to uncover sources of anti-Semitism in the U.S. that is hidden to most of us. Tenenbom is Jewish, Israeli in fact, and though to this time he had “carried no flag for any country,” at the end of this book he finds himself holding a Palestinian flag in a group of stone-throwing demonstrators in Bil’in, being filmed by European television and documentary crews. It hadn’t been Tenenbom’s idea to be a part of the show, but since traveling around Israel for some months claiming he was Abu Ali the German or Tobi the German journalist, he’d been invited to this celebration of Palestinian Independence Day, all staged for the benefit of the cameras and their international audience. In Tenenbom’s view, finding himself in this position was the height of absurdity. Tenenbom went to Israel in 2013 at the request of his publisher. His earlier book, I Sleep in Hitler's Room: An American Jew Visits Germany, about a six-month walking tour of Germany, appears to be a critique of European attitudes towards Jewishness, and became an international bestseller. Tenenbom had been born ultra-Orthodox in Israel from a long line of European rabbis. He was groomed himself to follow that path until as a young man, he moved to the United States and to pursue higher degrees in mathematics and literature. For thirty-three years he pursued a career as journalist and columnist for media outlets in the U.S. and Germany, and as playwright in the Jewish Theatre of New York, which he founded and manages with his wife Isi. His role as journalist, playwright, and failed rabbi gave him the perfect platform to ask probing questions about the Israeli/Palestinian situation, and Tenenbom took advantage. His playful yet incisive questioning and manner allowed him to re-state and re-frame arguments in which sides have been drawn for some time, giving us another angle from which to view the action. This book about a several-month stay in Israel in 2013-24 begins light-heartedly enough, laughing along with the little deceptions of both sides in the Israel/Palestinian debate, feeling a sense of camaraderie, appetite, and deep joy at spending time again in the Middle East. The longer he stays, however, the more Tenenbom sees traps for the Jewish state in the language Israelis and Palestinians use when describing the actions and positions of each side. There is a huge under-informed army of NGOs and Christian religious organizations that have developed very effective propaganda tools to support the Palestinian cause at the expense of the Jewish state. Tenenbom can see it is big business and grows more distressed when Jewish newspapermen like Gideon Levy writing for Haaretz does not ask better, more thorough questions and instead seems to accept the self-flagellating viewpoint that Israelis are racist. 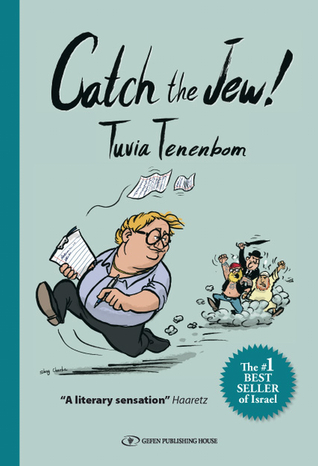 By the end of the volume Tenenbom is losing his sense of humor about Jews he calls “self-hating” who are not pressing hard enough in their self-examination about what is expected of them, or keeping their minds nimble and open to the realities of the situation. The Palestinians may be milking the “conflict” for all it’s worth, but some of the truly needy are being overlooked in the rush to help the more polished actors. Pay attention we can hear him say in subtext. Stay skeptical. Tenenbom is very persuasive, and very likable: he has an earthy, warm, and intimate way of pointing to our similarities rather than our differences. It is when he meets a uncompromising right-wing settler who insists on his right to burn the Palestinian olive trees because he is “at war” that Tenenbom’s attitude receives its most damning blow. Tenenbom says the man sounds like a Goy, like any other non-Jewish farmer he’d known, not like a normal Jew. "Personally, I hardly get to meet conviction-driven Jews, say-what-I-think Jews, farming Jews, if-you-slap-me-on-one-cheek-I’ll-slap-you-on-both-cheeks Jews. The Jews I know are neurotic Jews, weak Jews, self-hating Jews, hate-filled-narcissist Jews, accept-every-blame Jews, bowing to all non-Jews Jews, ever guilt-ridden Jews, ugly-looking Jews, big-nosed and hunch-backed Jews, cold Jews, brainy Jews, yapping Jews, and here-are-both-my-cheeks-and-you-can-slap-them-both Jews. To me, the biggest proof that Jesus was Jewish is this: Who else, but a Jew, could come up with this statement: ‘If someone strikes you on the cheek, offer him the other one as well’?" If your convictions haven’t been shaken up in awhile, Tenenbom stands ready to help out. He is funny, and those who appreciate self-deprecation will have an easier time of it. His extra layer of thoughtfulness rearranges the Middle East so that we must go back through our understanding and look again, do more work on examining how the ground game has changed since the last time we looked. At the end we may not agree that Europeans, Americans and Palestinians can exhibit anti-Semitism commonly and regularly, but he will have us looking closely, to make sure. What he is saying is that Jews are really just like anyone else—no better but certainly no worse—and any attempt to categorize them or assign a ‘national character’ is specious. This enormously interesting book makes immoderate readers of us. Tenenbom is someone we’d like to encounter again. He makes us think, he makes us laugh, and he seems a perfectly ethical sort. His book is divided into chapters called "gates." Those familiar with the Torah will know of the Fifty Gates of Wisdom or the Fifty Gates of Understanding. Well, Tenenbom has fifty-five gates, but the idea is the same: "Being worthy of receiving prophecy requires character improvement." The thing is, Tenenbom is not optimistic about Israel's longevity in the world. Poor leadership, perhaps, and I agree. 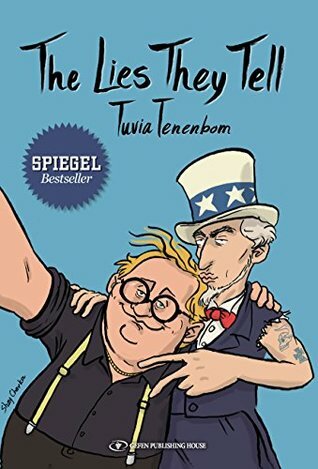 Tenenbom has written a new book on travels around the United States in the lead up to the last election, called The Lies They Tell, just published March 2017. It had never occurred to me that reading the memoirs of a sitting senator could be an interesting and informative way to spend time. Congress has infuriated me for awhile now. Before I became laser-focused on politics in Washington, listening to the “can’t manage it” complaints from Democrats really burned me up, so the thought of giving a Congressperson more time to blather at me was unappealing. Since I have been paying attention, however, I can see lots of areas where “can’t manage it” complaints are perfectly in order, leaving me free to be angry with the GOP and their many allied organizations, e.g., far right, libertarians, religious right, etc. Franken points out many ways the best laid plans go awry, and suggests those who are tempted to complain about politics try it themselves. Not a bad idea. It may be time we send our best to Washington to try to make some headway. 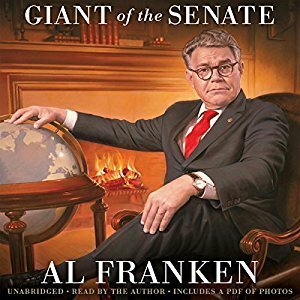 So why does sitting-Senator Franken write a book now? He began it in 2015, shortly after he won his Minnesota seat by a comfortable margin for another 6-year term. He points out that Congresspeople do not make a large salary, but he’d better not say that too loudly in this climate where the enormous wage differentials between different types of work are an enduring and growing source of confusion, contention, and anger. A congressperson doesn’t make as much as a Hollywood celebrity, no. So? He has trouble living on his Senate salary? Anyway, he may have written the book because he can, because it is a something he is good at, and because his books are bestsellers, bringing in real income. I doubt it will allay the need for more fundraising, but it would be nice if it did. It may simply mean campaign funds do not become a temptation. But I think he also wrote it also to stir the pot and make sure we've heard the message that we need to work hard on our side to become involved and not allow the current administration to go beyond 2018. He's doing what he can to keep our spirits up. As Bernie says, now is not the time to throw our hands up in despair and resignation. Franken spent most of thirty years trying to be funny and after he became a senator, he had to cap the well so that he’d be taken seriously. After his re-election Franken thought he’d earned the right to be funny again in public, and the truth is, we yearn to find something funny about Washington. We know it is absurd. We want to hear a professional’s take. It seems effortless for Franken to be funny, so used he is to drilling down to the absurdity in everyday happenings in Washington, to make jokes about the ridiculous posturing and outright lies, to recognize his fellow performers in the Senate as a kind of troupe, some of whom are easier to work with than others. And it is a kind of a relief to look at these politicians as humans, with human foibles. I admit I was surprised to hear his stories about Orrin Hatch’s credentials writing country songs, or Chuck Grassley’s apparent willingness to work across the isle with a fellow midwesterner. We’d always heard about the startling collegiality among a group who by day fights rancorously in public, though in recent years, with congressional incumbents going back to their districts on Thursdays and returning Monday afternoons, members of Congress have little opportunity to meet casually. Everywhere I turn I see Franken promoting this book, so I’m sure everyone has some idea what is in the book itself. I was more interested than I thought I would be to hear how it is to campaign every day and every night, to win an election, to suffer through a recount and a challenge, to find co-sponsors for bills, to sit on committees, to fundraise constantly, to answer to constituents, etc. It does sound as though they are pretty busy, and Franken tells us the best way to help, rather than hinder, their efforts to conclude legislation that makes an impact. Calling one’s representatives does help, it appears, useless as it seems at the time. Anyway, this is not a struggle to listen to—Franken himself reads the audio—and it made me laugh aloud in places. I learned a lot, and find myself interested to look at his earlier work, Lies & the Lying Liars Who Tell Them: A Fair & Balanced Look at the Right. Franken is such natural. Let’s hope he doesn’t fall for the really ridiculous claim that Minnesotans are going to gain a lot of long-term well-paying jobs if the Keystone Pipeline from Canada’s tar sands goes through. It would make me happy if he could convince his people that pipeline is not going to save them and it will probably ruin the rest of us. I know senators represent their states, but those states are in a nation. I’d be happy to carve out a Minnesota-shaped space (or an Idaho-, Florida-, etc. -shaped spaces) if they think their needs more important than those of a nation. There is a balance between needs, and this is another thing getting out of kilter in Washington these days. The concept of this book is exactly what I had been thinking about for the past two years. I am so grateful for Hochschild for structuring a study to investigate the political divide in the United States as evinced by Louisiana, a deeply conservative red state facing environmental degradation and widespread poverty. 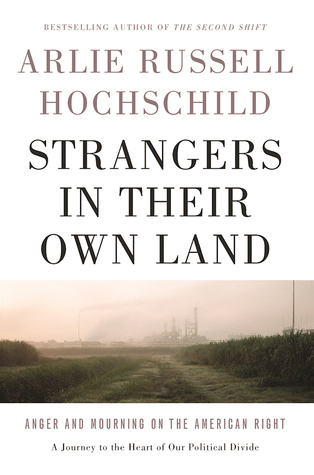 Hochschild focused on a single issue upon which voting age people might be expected to converge in attitude, environmental pollution, and ended up asking a question which illuminated other attitudes: why do those living in polluted states want less federal oversight from environmental agencies rather than more? Looking over the work Hochschild did in Louisiana, we realize that doing sociological research in the field is messy and hard to categorize. In order to determine if there was a shared narrative that connected the attitudes and emotions of the people she interviewed, Hochschild generated something called a “deep story,” which removes the particular facts and judgments that define individuals and just tells us how things feel to those individuals. The Tea Party supporters she interviewed agreed that the deep story Hochschild generated did resonate with them and could be said to define them: That life is hard, and they must endure; that they felt like they were waiting in line, patiently, for their rewards for working hard but they see federal government-subsidized line-cutters getting benefits before the hard workers, i.e., Negroes, women, immigrants, refugees; the government appears to be helping the line-cutters using taxpayer money and is therefore antithetical to the hard-workers; God teaches how to endure; gay people were not godly; America, especially the America of their youth when fish and fowl were plentiful and air and water were clean, was something to preserve; everything was changing so much they’d begun to feel like strangers in their own land, not getting the benefits citizenship in America promised. The connection between pollution and jobs gets tangled in the subjects’ emotional self-interest and they can’t seem to extricate themselves from a loop created by what they hear from their former corporate employers, from their state representatives (Bobby Jindal was in office), and from Fox News. It almost seems as though when corporate representatives said they would not clean up the river/lake pollution, that the pollution is not that bad, or they could not afford to clean up, residents felt powerless. In order not to feel powerless, they blamed someone else, like the federal government, or the line-cutters. The people Hochschild interviewed for this study* were subject to the most egregious environmental pollution I have ever heard of. In some cases their houses were destroyed or blown up by gas leaks, the rivers surrounding their houses were so polluted plants and animals died when in contact with it. The interviewees were retired or near retirement. Their neighbors and spouses were dying of various cancers. At the end of the study, when she was drawing her conclusions, Hochschild was remarkably restrained. She’d become friends with these folks, and though she might occasionally, gently, point out areas of disagreement with them to see what they might respond, for the most part it did not appear that she interfered with their belief system. Her conclusions were that these people, who struggled their entire lives to make a living, who were often lied to by those with power over them, felt a kind of collective excitement to be part of Donald Trump’s supporters where they felt secure and respected, and were released from the bonds of political correctness, e.g., caring about those further back in the line, the needy around the country, around the world. Personally, I think it might be the release from political correctness that made everyone so giddy to be part of Trump’s team, because let's face it, the man was not respectful. Though he was rich, he was low class; he made it look as though his level of success was attainable to ordinary folk. There is a certain amount of willful delusion and economic self-interest in these beliefs, it seems to me. I understand compassion fatigue, particularly when one’s own world is so needy, so I am not going to criticize that. There is, however, something we [should] all learn as we grow older that these smart, mature, experienced folks don’t seem to have grasped, and perhaps this is our fundamental disagreement: Happiness and satisfaction in life is not a zero-sum game. Although we might be able to feel sympathy, empathy, compassion—something other than steaming anger—for individuals in the world Hochschild studied, I don’t think it is so easy to do the same for a group. I found myself steeled against their resistance to coherent argument on commonsense pollution controls. They can react with their emotional self-interest if they wish, but I don’t think it is healthy if I do as well, because then we’re at loggerheads. If I react with my economic self-interest, we are likewise at loggerheads. These people want what I want, e.g., family, community, a measure of security. They must want a clean environment as well. We disagree on how to get there. I don’t see that changing unless perhaps we agree to set standards of accountability and hold each other to those standards. This was really a spectacular study, enormously important, and deeply skilled in execution. I am in awe of how the author was able to approach the problems she could see in our society, measure them, and explain what she found to us. This book was published in 2016, the result of at least five years of labor and study. 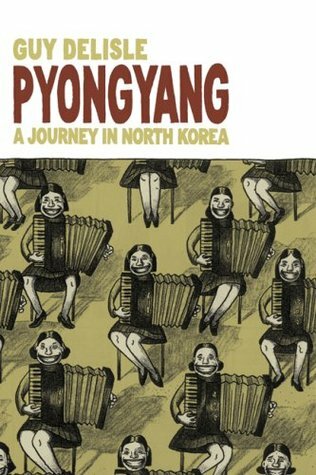 It was a 2016 Finalist for the National Book Award for Nonfiction. Many publishers claim “explosive new content” for their nonfiction but in this case it is not hyperbole. This political history of the Radical Right is a worthy companion to Jane Mayer’s Dark Money. It reveals what Mayer did not: what on earth were the Radical Rich thinking? This is the book we’ve been waiting for—a book which explains the philosophical underpinnings of the Radical Right and the scope and direction of their plan for political and economic control. For years I have struggled to understand how they could imagine a small group of people should be more privileged than the majority, but now I get it. The Radical Right has divided human beings into makers and takers, “makers” being those who own the means of production (and pay taxes) and “takers” being those who do not. For some reason I still don’t understand, they have concluded that the superrich fit the first category and the bulk of the economy’s workers fit the second. Which, as we all know, with regard to taxes at least, is a logical fallacy in today’s America. Though sometimes it may appear the Radical Right are inarticulate because they never seem to explain what they are aiming at, they apparently wanted to keep their philosophy and intent quiet, to work in secrecy. This is because most people in our democracy would oppose their thinking. The Radical Rich freely acknowledge this. The Right believes that the majority in a democracy can coerce individuals to pay for things the minority do not want to pay for, like public schools, health care, welfare programs, jails, infrastructure. The Right believe they should be free to do as they choose, and services should be privatized. The market will take care of any climate change-related environmental controls that the majority might wish businesses to adopt. The Right’s view of an efficient business and political environment might look like the early 20th Century when oligarchs roamed the earth. It sounds bizarre, I know. The Right knew we would react this way, which is why they have been unable to say what they were thinking straight out, but instead made common cause with the Republican Party, and the Religious Right, cannibalizing both and leading those two groups to their own demise. An important piece of their thinking is that only the national government has enough clout to stop them from dominance, which is why they are so insistent on weakening the central government and passing “power” to individual states, which would of course diffuse power. Things are so much clearer to me now. When the Black Lives Matter movement said opposition to President Obama was about race, they were right. Opposition to Obama was ginned up by this group, who spread rumors and undermined his attempts to compromise by refusing cooperation. The genesis of the thinking in this far right group has its roots in slavery. 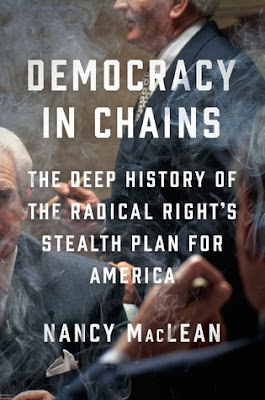 It is fascinating to hear how Nancy MacLean, investigating a tangential issue to those she explores in this book, came upon the personal papers and writings of Nobel Prize winner James M. Buchanan (October 3, 1919 – January 9, 2013) at George Mason University in Virginia, which included private letters between Buchanan and Charles Koch. The letters illuminated the train of thought of both men, including their insistence that their thinking be kept secret lest people object to their belief that democracy would ruin capitalism and their right to rule. Eventually the two men diverged in thought and Koch sidelined Buchanan decisively. At last I can understand why the Republicans would put forth a health care plan that actually harmed people. It bothered me that I didn’t understand, but I do now. I struggled to understand why this group of individuals, which include Mike Pence, Paul Ryan, Scott Walker, Mitch McConnell, and a host of others, oppose government-subsidized affordable college education, corporate and personal taxes, environmental protections, and state-subsidized drug rehab programs. They actually believe the majority of the American people are stealing their wealth. Of course there is room in the world for people with fundamentally different ideas about what man is. But there may not be enough room for these thoughts together in one nation. They can go off to live by themselves if they wish, on an island somewhere outside a country founded on the principle of “by the people for the people.” But, you know, without our willing slavery, they are just old men stashing meaningless bits of paper. They can’t even eat without our labor. They can’t live in all the houses they own. They can’t get where they are going without us. They can’t dress themselves without us. No, in order for them to win we must agree to be ruled by them, and we don’t. You will want to preorder this book and read it immediately. I understand now why there was no buzz about this. Remember when Jane Mayer was asked in an interview1 if she was afraid to criticize the secretive Koch brothers because they were so powerful? MacLean, I am quite sure, had to be extremely careful until this became public. The audio is excellent, read by Bernadette Dunn, produced by Penguin Audio. The audio file is about 11 hours, and it is completely enthralling. Now I can tell a conservative from someone indoctrinated by Koch. I can see the strategy. Mezrich picks interesting topics, I will concede that. 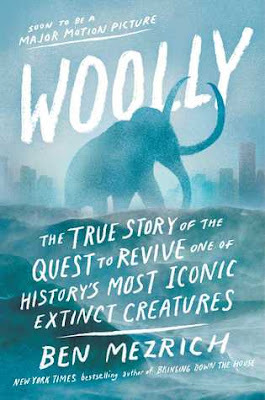 Readers may already have heard some years ago that a Harvard lab was working on de-extinction of the Woolly Mammoth. Mezrich brings us up to date on this project; indeed, the first and last chapters in this nonfiction are set in the future. If you are familiar with Mezrich’s writing, the author weights the concept of narrative nonfiction heavily on the narrative and fiction sides, ostensibly to stoke momentum and get folks interested. The only problem is that his very good instincts about what is intrinsically an interesting story fights with his method. Sometimes the reader has to thrash through pages of invented dialogue to reach a critical conclusion, a real buzz killer if there ever was one. But this story works on many levels, and while we are following his careful step-by-step thrust with one eye, our mind is busy on the operations of a lab and the implications of the study for medicine, for wildlife, for every aspect of our visible and invisible world. Mezrich eventually addresses many of these key issues in the text, usually making the science sound responsible and considered. I started to grow more uncomfortable towards the end of the book, when we are reminded that the science has progressed so far so fast that genomic modifications have escaped the lab environment and can be undertaken in a made-over garage for relatively small costs, and that billionaires of every stripe are lining up to make their money count for something big. The real excitement of this story is in our imaginations, and what the skills and knowledge of present-day scientists can allow us to imagine. Mezrich places us in fund-raising meetings with billionaires, allowing the most humble among us to enjoy the same stories and sense of excitement that fuels movers and shakers. If the glamour of the whole thing begins to seem suspect at some point, I think you’ve caught my sense of unease. Mezrich shares the history of the project, including the work by Nikita Zimov in Northern Siberia, determining that woolly mammoths seemed to have played a role in preserving the permafrost levels of the tundra, by upturning the soil and exposing lower layers to the freezing temperatures. His father, Sergey Zimov, apparently theorized that reestablishing animal herds that roamed Siberia earlier in human history might play a role in keeping escaping carbon and methane, now sequestered in permafrost, from accelerating the speed at which the earth warms. The fact that woolly mammoth remains are discovered regularly now in thawing and melting ice and snow of the north is something I had not known. The ancient ivory from the tusks is not protected and is therefore an important source of income for hunters, sold in lieu of protected elephant tusks, for the same reasons, to the same buyers. The scientists involved in the story at one of the Church labs at Harvard are fascinating individuals in their own right, each with a backstory that only fuels our interest. The project has been going on long enough now that the twenty-something personnel involved at the beginning of the project are turning it over to others, younger ones still, to ensure continuity of skills on such a forward-looking project. The whole concept and execution of the mammoth idea is sufficiently…mammoth…and complex enough to make readers feel as though they have been subtly changed by the experience. The real life story ends with woolly mammoth DNA implanted in an elephant cell. Dr. Frank Church, the originator of this project, to his credit, decides not to use elephants to gestate the beast that might develop, but to construct a synthetic uterus. That is currently underway. Stay tuned. 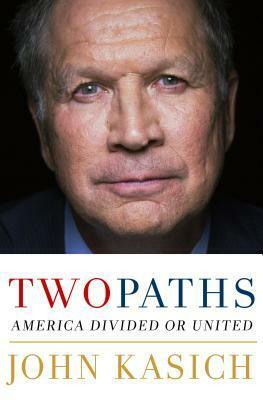 John Kasich began writing this book as soon as he became the last man standing in the 2016 Republican primary contest between sixteen candidates and Donald Trump. We know Trump won by deriding and dismissing his opponents, but Kasich seemed to run under Trump’s radar. Neither Trump nor Kasich were beholden to Far Right money being shoveled to the other candidates by the Koch brothers’ organizations, and the Republican Party kept some distance from the two of them as well. But other than that, Trump and Kasich have practically nothing in common. This book is not a difficult read. It’s as though we had an opportunity to sit around listening to Kasich tell stories about the campaign, what it’s like to run for president, what the candidates are like behind closed doors, how to begin to think about a national campaign, etc. It’s intrinsically interesting stuff, but not especially critical to know. Although I am not Republican, I sought out information about Kasich to see what was different about his thinking from my own. Frankly, he was the only one I could stand to listen to. He is not a jerk, and often acts like a mature adult, which I find appealing. He has the common man touch in that he doesn’t seem particularly philosophy-, ideology-, or theory-based. He comes across as someone who puts one foot in front of the other, and while he has guiding principles, for the most part he is relying on material tested in a big swing state with enormous social strains and stresses. That a governor can take so much time to campaign and then promote his book on the way to beginning a new campaign means either that he is really good at finding people who can do his job for him while he is away or he has a reservoir of goodwill from voters that he is gradually spending. One’s career is often derailed after a failed bid for president, but it almost looks as though Kasich could carry on as a perennial candidate until he decides to retire, not winning national office but managing his state coffers admirably. Kasich makes no bones about the fact that he is a religious man. In my mind it is appropriate for him to bring up God because Kasich is actually a nice guy who appears to think about others. It’s in his daily conversation and in the way he treats others. Placed side-by-side with other candidates who also claim to be religious, Kasich comes off as looking pretty authentic in contrast. In this book there is a chapter that makes enormous sense to me, and none of the other candidates anywhere has talked about it, Democrats either. In that chapter Kasich discusses the how the electorate often worries about a crisis of leadership when we perhaps face a crisis of followship. In other words, a leader is as good as his staff and the people on his team. (We all know this, we’re just not used to purported leaders telling us this. We can’t just pick someone and expect them to fix everything while we go back to our own concerns.) We should be the change we want to see. We need to find candidates that speak for us and deliver on our priorities, and we need to work to make him/her viable in the leadership job. This book is named after a speech Kasich gave April 12, 2016 to the Women’s National Republican Club in New York City. Kasich had come in second in the NH Republican primary in February after 100 town hall events in the state. In April, the remaining candidates were down to three: Trump, Kasich, and Cruz, just as in that NH primary vote. This is the speech in which he said he would not “take the low road to the highest office in the land” and that “American is still great.” Of the two paths he spoke of, one is that of fear and division, the other is a sometimes steep path to overcoming issues which need resolution. The view on that second path is great, Kasich says, and we’ll be working with great folks (instead of the loud, greedy, insensitive boors on the other path). I have no idea why more conservatives are not interested in the Kasich message. He seems perfectly rational, thoughtful, and effective, just what you’d think we’d want in a lawmaker, judge, or executive. He may not be the brightest bulb in the bushel, but like he says, he shouldn’t have to be. He has us. And besides, I think he knows a whole lot more than he communicates. Wisely. 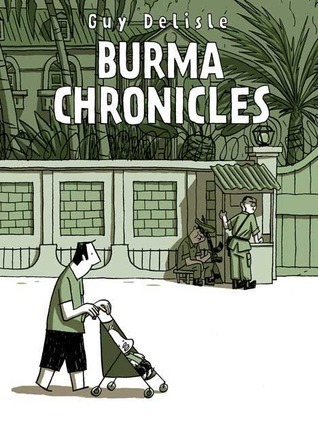 With this new book released in the U.S. in the spring of this year, French Canadian graphic artist and animator Guy Delisle takes a departure from his more usual graphic novels about his life as the spouse of a Médecins Sans Frontières physician to tell the story of a real innocent abroad, Christophe André, on his first assignment for MSF in Ingushetia, in the North Caucasus in 1997. 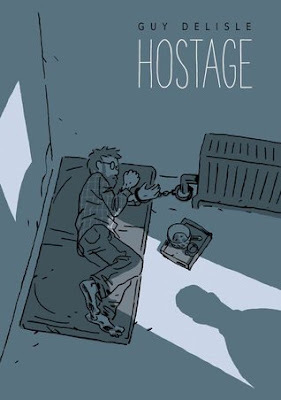 Christophe was taken hostage, driven across the border into Chechnya, and outside of Grozny he was held for ransom for three months. He had been in his post for three months when they came for him. He spent the bulk of his captivity chained to a radiator in a small room with a mattress stuffed with straw. He was fed watery soup and allowed bathroom breaks, but otherwise had no opportunity to speak, see the sky, move freely. Ransom negotiations were slow: when he escaped, finally, the translator assigned to his office in Ingushetia told him other foreigners had been kidnapped in the time he was being held. The 400+ pages of this book are not a struggle; readers spend the time thinking about what they might do in similar circumstances, and interrogate themselves about the scene and their own strengths. André himself passed the more terrible stretches by recalling in great detail the military commanders, battles, and outcomes he had studied when he was younger, including Russian, French, and American battles. The escape at the end is harrowing, and stomach-dropping. André simply did not know whom to trust. Eventually he made it back to his home in Paris, and six months after that went back to MSF and asked for a new assignment. He worked twenty years for MSF after that experience. This brilliant novel reads like a thriller yet teases out and lays bare a disturbing family history of violent, unresolved death resulting from a culture of race relations profoundly at odds with national ideals. 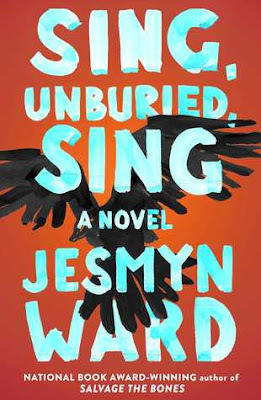 Jesmyn Ward is a Southern writer in the gothic tradition, a worthy successor to Faulkner, O’Connor, Welty, and McCullers. She shows the cruelties not just within families but between families and races. Her characters have so much at stake. What Ward writes is what we have inherited. We can change it, but first we have to acknowledge it. The bulk of this novel takes place over the course of one day, the day Jojo and his sister Kayla accompany his mother Leonie to Parchman’s, a prison, to pick up his father Michael. Everything is revealed in that one day. Resolution takes a little longer. Ward’s willingness to “go there,” her vision uncut and her language clear and exact, gives her work the aspect of witness. And yet she inhabits the young man Jojo so completely that he became our eyes and our judgment. It feels like a gift, to be able to see how families bend and break under the weight of all they carry…the weight of all those killed violently and not yet laid to rest. Richie is the ghost of a poor murdered boy, and he is not the only ghost in this family’s present. Jojo’s uncle Given is also a spirit, albeit one that gives comfort, advice, and warning. It proves difficult for family members to deal with the spiritual needs of the ghosts as well as the temporal needs of those around them. It is confusing, demanding, intrusive. Add to that, not everyone has “the sight.” Jojo has it. Ward opens her story with the butchering of a goat, giving us a taste of the education Jojo has on the farm, under the tutelage of his grandfather. The violence of the experience jolts us awake, nerve endings jangling. We need whatever instincts this incident has aroused in us to get through the day trip to Parchman’s, which becomes a descent into the dark heart of delusion and destruction. Ward manages to instill the work with the impetus of a thriller: a reader becomes completely trapped by the closeness in the old car, the desultory conversation, the turn onto unfamiliar roads, the unexpected stop. The blood scent has put the wind up: we’re not sure who will come out alive at the end of the trip. Ward exquisitely calibrates her descriptions to resonate with us: we recognize these people, these motivations, these zones of danger. Making an exciting work of fiction is an art, but Ward elevates the stakes by making an exciting work of fiction socially relevant and critical to the conversation going on in our nation. Just last summer a book of essays edited by Jesmyn Ward and written by important American writers and thinkers, The Fire This Time: A New Generation Speaks about Race, was released to great acclaim. The essays address the ongoing race issues our country has never resolved and struggles with yet. Ward is among the finest and most important writers we have. Make sure you catch everything she puts out.